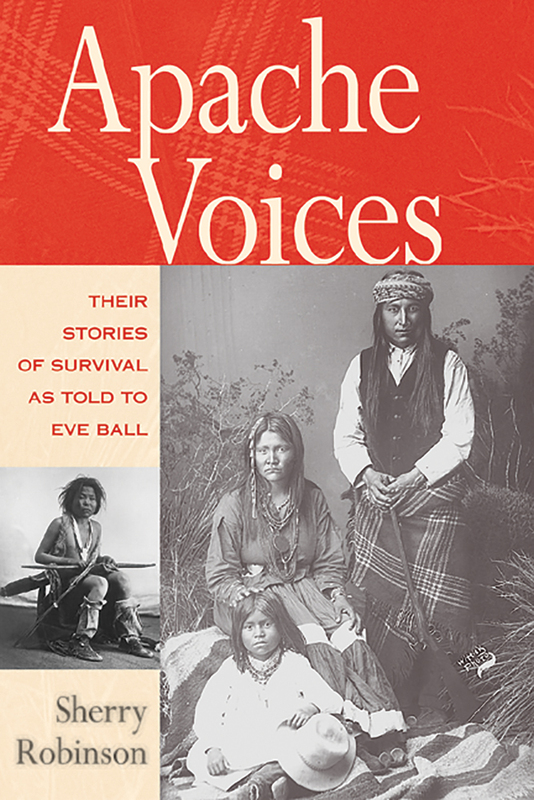 In the 1940s and 1950s, long before historians fully accepted oral tradition as a source, Eve Ball (1890-1984) was taking down verbatim the accounts of Apache elders who had survived the army's campaigns against them in the last century. These oral histories offer new versions--from Warm Springs, Chiricahua, Mescalero, and Lipan Apache--of events previously known only through descriptions left by non-Indians. A high school and college teacher, Ball moved to Ruidoso, New Mexico, in 1942. Her house on the edge of the Mescalero Apache Reservation was a stopping-off place for Apaches on the dusty walk into town. She quickly realized she was talking to the sons and daughters of Geronimo, Cochise, Victorio, and their warriors. After winning their confidence, Ball would ultimately interview sixty-seven people. Here is the Apache side of the story as told to Eve Ball. Including accounts of Victorio's sister Lozen, a warrior and medicine woman who was the only unmarried woman allowed to ride with the men, as well as unflattering portrayals of Geronimo's actions while under attack, and Mescalero scorn for the horse thief Billy the Kid, this volume represents a significant new source on Apache history and lifeways. Sherry Robinson is a journalist and freelance writer living in Albuquerque.